Employees who have a say in setting goals and decision-making processes feel more in control of their jobs leading to higher levels of engagement. SHRM research shows that “91% of HR professionals whose companies offer flexible work arrangements, such as teleworking, have seen positive results on employee engagement, job satisfaction and retention”. 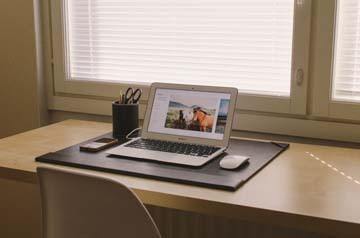 In a recent New York Times article titled, ‘It’s Unclearly Defined, but Telecommuting is on the Rise’, the typical telecommuter is described as a 49-year-old college graduate — man or woman — who earns about $58,000 a year and belongs to a company with more than 100 employees, according to numbers culled from the Census Bureau’s annual American Community Survey. By one estimate, telecommuting has risen 79 percent between 2005 and 2012 and now makes up 2.6 percent of the American work force, or 3.2 million workers, according to statistics from the American Community Survey. So while telecommuting is gaining momentum, many employers don’t support it because there is a real fear that people aren’t really working. Still, telelcommuting may be the most popular way to demonstrate trust in employees and may also be a highly effective way to build employee engagement. •	Lower work interference with family; and reduced absenteeism. It has been proven that telecommuting can lead to increased productivity, reduced turnover, fewer sick days, and significant overhead and real estate cost savings. If it also leads to greater satisfaction and employee engagement, we hope this trend continues to gain momentum and we look forward to the positive changes it will have on American employees.